We are currently developing a new, unique video product designed to tell your business’s story in a powerful, effective package. Get your message across in a video optimized for the web in every way, and tell your story with a fast, affordable format designed for the modern online audience. 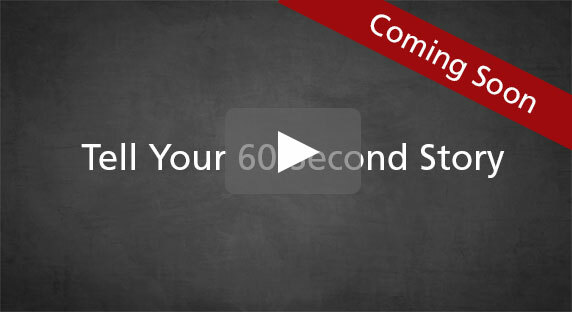 Ideal for profiling your business, humanizing your brand, or highlighting a specific product or service, 60-Second Stories are limited only by duration and imagination! The 60-Second Story is currently a Full Swing pilot program. While we polish it up, we’re offering a limited number at an introductory rate. Contact us for more details.